"Axiom Information Technologies " is a market Leading in IT Consultancy that is required to augment the business of our clients. Information Technology (IT) consultancy service is not a refined area of prospects where we might expect complications to occur. Hence we are prepared for providing solutions for many other services for our clients. The enterprises which effectively align technology with business goals achieve competitive advantage and that is what "Axiom" as software solutions company tenaciously believes in and implements.It is a business need today for softwares that we have been using or want to use in future to intercommunicate with other softwares. "Axiom Information Technology" is helping enterprises to drive the compatibility across the application infrastructure through open standards and service-oriented architecture (SOA). 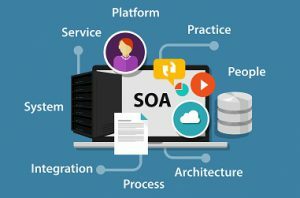 SOA is a standards-based design methodology that more closely aligns IT with business processes using a collection of shared services on a network. Using standard interfaces that help mask the underlying technical complexity of the IT environment, SOA enables greater re-use of IT assets. This results in more rapid development and more reliable delivery of new and enhanced business services. Cloud computing services are changing how businesses and public institutions use information technology. Today cloud services are available to meet most any IT need. Although there's great variety among cloud computing services, all such services have certain basic features and benefits in common, and all can be categorized into a few basic cloud service types. By now most people have heard about cloud computing services, but what does cloud mean? 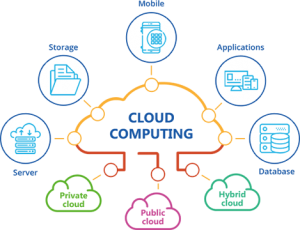 While cloud services may vary in their particulars, a cloud computing definition identifies the core features and benefits that are common across all clouds. Infrastructure as a Service (IaaS). 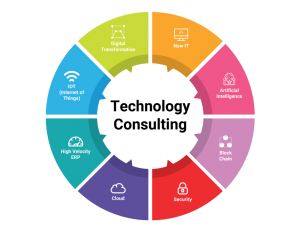 IaaS provides users access to raw computing resources such processing power, data storage capacity, and networking, in the context of a secure data center. Platform as a Service (PaaS). Geared toward software development teams, PaaS offerings provide computing and storage infrastructure and also a development platform layer, with components such as web servers, database management systems, and software development kits (SDKs) for various programming languages. Software as a Service (SaaS). SaaS providers offer application-level services tailored to a wide variety of business needs, such as customer relationship management (CRM), marketing automation, or business analytics. 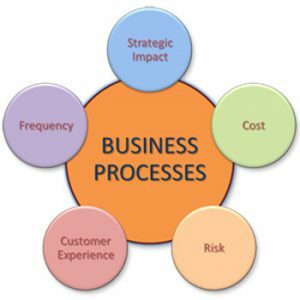 At Axiom Information Technologies , we have extensive experience consulting in Business Process Management ("BPM"). Our consultants have worked with customers to implement BPM within their organizations, including analyzing and documenting existing business processes, developing and implementing BPM plans, managing changes, and mentoring staff through the change process. The objective of Continuous Improvement, as it relates to the implementation of a new system, is to both reduce risk, and create value. This is achieved by ensuring that individuals, at all levels of an organization, assume responsibilities in moving to the new system and preparing their business appropriately. During the project, our consultants will work to identify a structure and approach that will achieve the desired changes in user behavior throughout the implementation. For business transition and change to be effective and long lasting, specific informational needs of the user community must be satisfied throughout the life cycle of the project. As an individual’s or group’s understanding of, and readiness for, the impending change varies over time, so must the change, communications objectives, and messages. Throughout the Continuous Improvement Process, our consultants will focus on the key components required for change to be fully embraced. Axiom’s Enterprise Architecture Consulting Services enable efficient business and IT transformations by creating platforms for the success of your business. In today’s highly dynamic and volatile business environment, businesses, technology, and customer preferences are evolving rapidly. CIOs are finding it difficult to ensure that predefined organizational goals such as streamlining processes, reducing costs, and improving operational efficiencies are addressed in the most effective manner.The digital era has brought mobile devices, social media, Internet of Things (IoT), and analytics into everyday life. This is disrupting traditional business models. 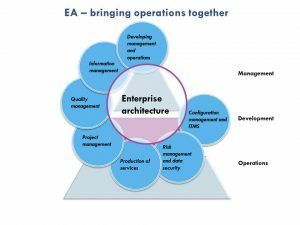 As a result, Enterprise Architecture (EA) is transforming into a platform to innovate business models, drive market changes, and extract more business value from existing investments. With varied customer demands, Axiom offers “Digital Driven Architecture,” an industry and asset-driven EA platform for combating the ever-changing business models, competitive markets, and technological obsolescence. It offers both strategic and tactical services for varied businesses, technologies, and governance practices tailored to the situation, allowing you to derive significantly higher value from EA programs. Axiom’s EA platform, composed of multiple competencies and capabilities aligned around the business life cycle of an organization, drives our core practices. To standardize services and improve an engagement’s cycle time, we tailor our offerings to each industry vertical by using solution templates, function models, reference architectures, and guidelines. A company’s technology organization should support its business strategy not get abided by it. Our Software Development Company in Mumbai focuses first on strategic needs of our client's businesses to determine the technology capability that is required to support their long-term goal. Our motive is to confidently address technology-related decisions and ensures that IT organizations and operating models are effective and agile making them well equipped to cut through the traffic of fleeting technology and create long-lasting results. Our experts are adept at helping companies cover business transformations or re-invention of their technologies so that they become agile and competent.Technology helps organizations grow business and transform themselves. We help clients that are embarking on a new journey of growth that is technology specific to identify the optional future state of IT. That is aligned with business requirements and is required to put together an implementation blueprint. For the successful merger, a company requires technology related synergies apart from divestitures, acquisitions and many times are overlooked in a deal. With us, the companies can plan and then manage the changes accordingly in their system so that changes in the business structure are served as well. The Product Development and Management Association (PDMA) is a global community of professional members whose skills, expertise and experience power the most recognized and respected innovative companies in the world. PDMA's members include product development and management practitioners, academics and service providers in a variety of industries and knowledge areas, including innovation strategy, portfolio management, new product processes, organizations and teams, tools and metrics, market research, and lifecycle management. 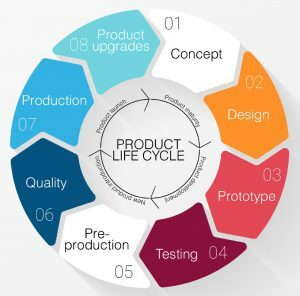 At Axiom Information Technologies , we address the complexities of Product Development by applying project management expertise of our professional team to our client’s initiatives. An innovative framework needs to be created that could enable the client to translate the ideas into new products and services and get them to market better, faster and in a cost-effective way. We thrive to make our clients respond to market trends effectively and quickly by preparing sustainableProduct Development strategy or roadmap.